A stunning part of the UK and with a fascinating history, Wales is a country of spectacular walks where you will experience a great sense of the outdoors and freedom. 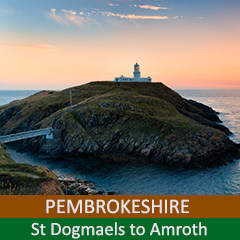 Whether you wish to explore its culture, its history or marvel at wonderful architecture, both modern and ancient, Wales provides you with the opportunity to do all these things as you walk its many miles of breath-taking coastline. Snowdonia, with high views from its rugged mountain ranges across secluded lakes fed by fast flowing rivers and spectacular waterfalls, ancient woodland and small market towns. The Brecon Beacons, with its four distinct mountain ranges, and an overabundance of ancient monuments, which are a testimony to the resilience of the people who have inhabited this harsh and demanding landscape. 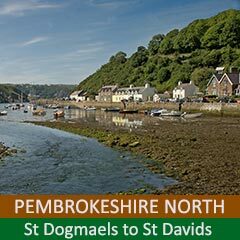 The Pembrokeshire Coast, this beautiful unspoilt coastline offers the escape from the hustle and bustle of modern life with open coastal walking. 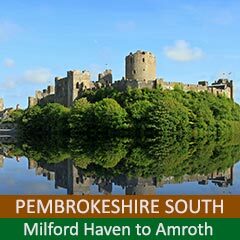 Add to this welcoming and friendly towns and villages across the entire length and breadth of the country, with an ever-growing reputation for a high standard of pride for its local produce within the restaurant and catering community, and you can see why Wales is fast becoming one of the most popular destinations for those wishing to see something outside of the mainstream tourist package. 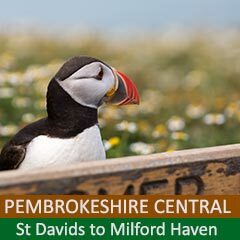 Since the whole Wales Coast Path was opened in its entirety, by far the most popular area has been the Pembrokeshire section with thousands of outdoor enthusiasts making it a top destination for walking, cycling, wildlife watching as well as a centre more exertive sports – coasteering, surfing, wind and kite surfing. Walk the Trail provide beautiful walking holidays on the Pembrokeshire Coast Path; 180 mile (300km) of unspoilt sandy beaches, hidden smugglers coves, picturesque harbours and sleepy fishing villages, with off-shore islands rich in bird and marine life and voted as the world’s best coastal region by National Geographic in 2012.